Enlarged pores can be impossible to manage with creams and lotions. Luckily, there are many other options to help get the smooth and pore-less look you want. Why are your pores so large? You can blame your parents for that, because pore size is largely determined by genes. This also makes it pretty difficult to shrink enlarged pore. However, it’s not impossible. Simply put, they’re the skin surface openings for hair follicles. Imagine a tiny tube going through the first few layers of the skin. This one tube is a hair follicle, one of many hair-making factories inside the skin. The opening of each tube at the surface of the skin is a pore. Think of it like a volcano rim — a particularly apt metaphor for acne sufferers. 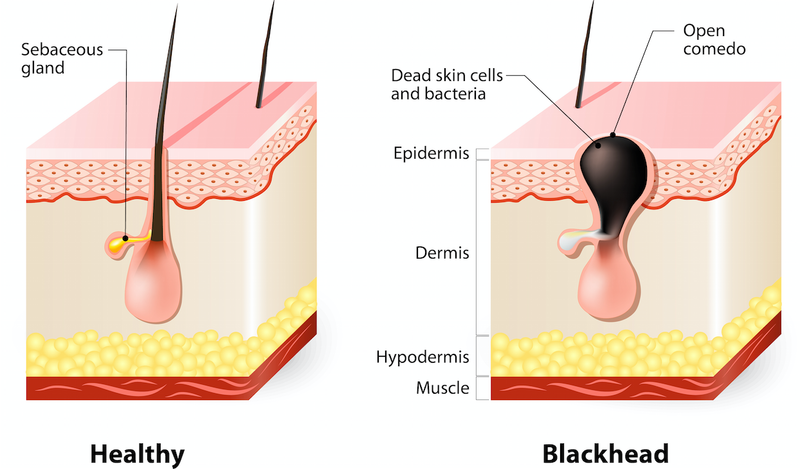 We all have pores, but sebaceous glands, found on either side of the follicle, determine how large they are. These glands are often mistaken for sweat glands, which are separate and not responsible for the pores that we see. Sebaceous glands produce sebum, a waxy substance that protects our skin from the outside world. The more oil that a sebaceous gland produces, the larger the pores will be. Sebum is also the main culprit in acne. Keep in mind that oil is not all negative. As we age, our oil production slows. This leads to dry skin and wrinkles. Those with very active sebaceous glands (read: bigger pores) will experience less dryness and likely fewer fine lines later. As is typical with skin issues, the most effective treatments are provided by dermatologists. However, that doesn’t mean there aren’t a few things you can do at home as well. Common skincare solutions like creams and scrubs don’t actually shrink pores. However, they can help their appearance by smoothing out the skin surrounding them. Salicylic acid and glycolic acid both unclog pores by dissolving dead skin cells. Retinoids — like Tretinoin, Tazorac, and Differin — increase cell turnover which can help keep follicles clear, and stimulate collagen production. “Adding a Clarisonic, or even an old-school Buff Puff, will clean out those follicles,” says Henry. Dr. Debra Jaliman, a dermatologist who practices in New York City, explains how birth control pills are one option to effectively shrink pores. Accutane is essentially a high dose of vitamin A which over time shrinks sebaceous glands, which then shrinks pores. It has some serious side effects and doctors generally only prescribe it to patients with severe, persistent acne. Smaller pores are simply an added benefit of the treatment. According to Henry, treatments to actually reduce the size of pores need to be a little more invasive than topical treatments. Lasers like Fraxel and Halo work well for this purpose. They’re not invasive in the traditional sense, but are more aggressive than topical treatments. These lasers create little microchannels of damage in the skin, and that damage stimulates a healing response which, in turn, creates more collagen. Collagen is a protein in the skin that gives it its structure. Boosting its production causes pores to close up. Ablative lasers — lasers that cause the epidermis to shed — will smooth the skin around the pore, leading it to look smoother and less noticeable. Laser treatments vary in price, but start around $1000 for a full-face treatment. Dr. Norman Rowe, a New York City based, board-certified plastic surgeon, uses a time-tested procedure, microneedling, in a creative way to help treat pore size. Microneedling has long been used to rejuvenate skin and treat scarring. During the procedure, a pen-like device with 25 to 30 tiny needles on its head is carried across the skin. Each needle is extremely fine and creates micro-punctures that trigger the skin’s wound-healing response, stimulating collagen production. Over a roughly six week period following the procedure, the skin starts looking smoother and more radiant. Microneedling has long been an effective tool in the dermatologist’s anti-aging kit, but with one small tweak, Rowe is making the procedure even more appealing for patients. In short, he’s using hollow needles to inject a “skincare cocktails” into the skin. Rowe can put combine the benefits of traditional microneedling with any number of treatments. For example, injected antioxidants protect the skin, fruit acids encourage cell turnover, and diluted hyaluronic acid moisturizes and plumps. Most importantly for our purposes, Rowe’s tool can utilize a diluted form of Botox to shrink pores. Everybody’s favorite anti-aging friend, Botox, is a neurotoxin that inhibits the function of muscles. According to Rowe, when injected at the superficial skin level of microneedling this diluted Botox decreases the production of sebum and paralyzes the tiny muscles surrounding the skin’s pores. This results in smaller pores, and less acne because of the decreased sebum production. A patient typically only needs one or two treatments, which last about 20 minutes. As the needles are so fine, the procedure is almost painless. At approximately $500 per session, it’s much more affordable than the average laser treatment. As the area metabolizes the Botox slower than a larger muscle would, the results last longer, roughly six to nine months. Now knowing what causes large pores, it is easier to understand why certain purported cures are less than effective. Creams can help smooth out the skin surrounding pores, but effective at-home treatments like retinoids, salicylic acid, and glycolic acid can help to treat the underlying issues that cause large pores. If you choose to go the clinical route, there is no shortage of options available. From laser treatments to microneedling, professional treatments can truly target and eliminate enlarged pores. The following products are recommended by skin experts to help fight enlarged pores and acne blemishes. Containing 2% BHA (Beta Hydroxy Acid), Paula’s Choice Skin Perfecting is a gentle exfoliant that unclogs pores, fights blemishes, and reduce the appearance of wrinkles. 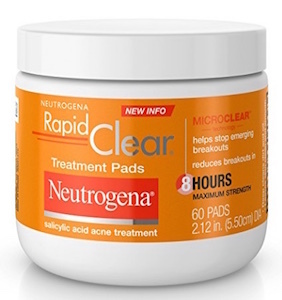 An essential product for anyone with oily skin, Neutrogena Rapid Clear Maximum Strength comes with 60 pre-moistened salicylic acid pads. Using them helps prevent breakouts, remove blackheads, and slough off dead skin cells. Epicurean refines pores while accelerating the release of dry, dead skin cells. This peel’s low concentration of glycolic acid won’t cause flaking or irritation, making it a good choice for those with sensitive skin. This cream contains a blend of papaya extract, vitamin A, and glycolic acid. 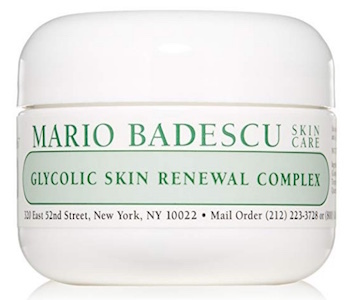 After cleansing and toning, gently apply Mario Bodescu’s Renewal Complex to rejuvenate dry, dull skin. 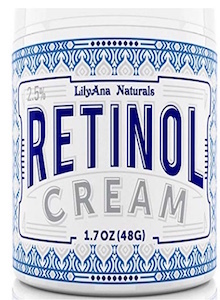 In addition to keeping follicles clear and stimulating collagen production, LilyAna Naturals Retinol Cream Moisturizer repairs damaged skin. Equally important, the lotion does not leave any oily residue, nor does it contain artificial fragrances or parabens. 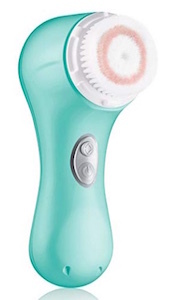 The Clarisonic Mia 2 effectively removes makeup, dirt, and sebum. This gentle exfoliator comes with two different speed options: Speed 1 for delicate, sensitive skin, and Speed 2 for daily cleansing. 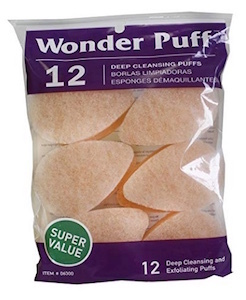 As an affordable alternative to the Mia 2, the Wonder Puff is a sponge that can be used to remove dead skin cells, excess oil, and dirt from the face. Rather than using your hands, a more hygenic approach is to apply your favorite cleanser on the sponge and lightly brush your face in a circular motion.